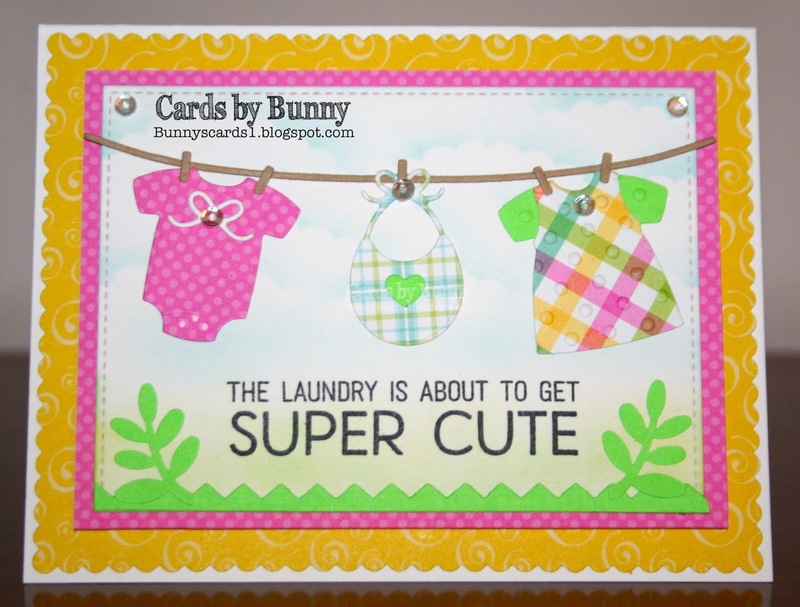 Super, bright card, Bunny, love your line of washing and such a great sentiment. Wow! I just went and read up on that, Liz. It's hard to believe isn't it? I know a lot of people do love that smell on their sheets. Super gorgeous Bunny, love that gorgeous clothes line full of sweetness.. This is absolutely darling! I love the paper piecing - and the almost neon colours are fabulous. What a beautiful scene you created on this card <3.....very sweet and cute card. LOL. Reading the sentiment I was thinking quite the opposite, which is "the laundry is about to get super stinky and never ending." LOL. A beautiful card design and image Bunny. May you have a lovely Friday and wonderful weekend ahead. Hugs. Sweet card with a great layout. Thank-you for joining us at the Crafting with an Attitude Challenge 'Anything Goes' June 2017. BUNNY - what do you mean do we still remember it - we still do it here in NZ. It's the only way to have that sunshiney smell in your clothes and linen! What are you thinking??? Such a bright and bold and cute card. FAB.